In November 2014 I asked a group of district judges (Martin Dancey, Chris Darbyshire, Geoff Edwards, James Heyworth and Patrick Perusko, later assisted by Max Ellington) to look again at the CAP orders for private law cases. I was all too conscious that the existing orders were not doing what was required. I made clear that the task was to be approached with a clean sheet and not encumbered by the requirements of PD12B regarding the content of orders. Since then those judges have been working to draft private law orders that they consider, and I agree, have to meet certain purposes. First, the orders have been prepared on the basis that the primary and most important audience is the parties themselves, more often than not now unrepresented. So they must be as concise as possible and easy to understand. The orders have been seen by AdviceNow and their suggestions for simpler language have been incorporated. Secondly, a problem with the CAP orders was the extent to which they required recitals before the operative part of the order was reached. Of course recitals can be very useful in explaining the context of an order and dealing with matters that should not be in the order itself. However there was a strong feeling that the sheer length of orders with long recitals was too daunting, particularly for litigants in person. So the new orders are less prescriptive as to recitals, leaving it to the good sense of judges in any particular case what they choose to include or leave out. With the agreement of the Family Procedure Rules Committee I have now approved amendments to PD12B removing the requirement for certain information to be included on the face of orders. Thirdly, CPR 81.9 requires that, to be enforceable, penal and warning notices must be prominently displayed on the front of the order. Necessarily therefore, all the warning notices have been collected together on the front page. Fourthly, it is hoped that as many judges and justices’ legal advisers as possible will use the Judicial Template to produce the new orders. I would very much encourage you to do so. I know that in some areas they are used by judges and legal advisers at all levels. However, tick box forms have been drawn up for those who do not feel able to use the Templates. In an attempt to keep these forms to a manageable length they are separated into A Allocation and Gatekeeping, B Case Management Directions and Section 8 and other Orders and C Enforcement. HMCTS staff are being provided with the full text of the orders to which the tick box forms relate so they can draw the appropriate orders using FamilyMan. Whichever method is used to produce orders I am keen that parties should leave court with a copy of the order made at the hearing whenever possible. That will usually be achieved if the Template is used. Fifthly, it is important that practitioners have access to the same orders as judges so that they can draft consistently. To that end I am making them available to the Bar and Law Society to circulate to family practitioners. I am immensely grateful to Martin and his team for all their hard work and trust that users of the revised forms will agree with me that they have made very great improvements. You will know that District Judge Geoff Edwards was responsible for the family and civil templates. His tireless work on these templates over so many years was invaluable. His unexpected death in November last year left a huge gap. He is sorely missed. I am very grateful to retired District Judge Bill Vincent for stepping in and completing Geoff’s work. The primary and most important audience is the parties themselves, more often than not now unrepresented, and must be as concise as possible and easy to understand. The orders have been seen by AdviceNow and their suggestions for simpler language have been incorporated. A problem with the CAP orders was the extent to which they required recitals before the operative part of the order was reached. While recitals can be very useful in explaining the context of an order and dealing with matters that should not be in the order itself, there was a strong feeling that the sheer length of orders with long recitals was too daunting, particularly for litigants in person. The new orders are less prescriptive as to recitals, leaving it to judges in any particular case as to what they choose to include or leave out. With the agreement of the Family Procedure Rules Committee, the President has approved amendments to PD 12B removing the requirement for certain information to be included on the face of orders. Rule 81.9 of the Civil Procedure Rules 1998 requires that, to be enforceable, penal and warning notices must be prominently displayed on the front of the order. All the warning notices have therefore been collected together on the front page. It is hoped that as many judges and justices’ legal advisers as possible will use the judicial template to produce the new orders and are encouraged to do so by the President. Tick box forms have been drawn up for those who do not use the templates. In an attempt to keep the forms to a manageable length they are separated into: A Allocation and gatekeeping; B Case management directions and section 8 and other orders; and C Enforcement. HMCTS staff are being provided with the full text of the orders to which the tick box forms relate so they can draw the appropriate orders using the courts’ IT programme, FamilyMan. Whichever method is used to produce orders the President is keen that parties should leave court with a copy of the order made at the hearing whenever possible. More accessible language is very welcome – as the numbers of litigants in person rise in Private Family Law cases, there is ever more a need for simpler, clearer wording and layout of court orders. All too often, parents are left bamboozled by the archaic language in orders – and application forms (one of the reasons why Nick and I wrote the Family Law A-Z). I wonder if there will be a similar overhaul of the Ancillary Relief orders in the near future? The guidance gives no indication as to when the new “tick-box” orders will be adopted. The language and vocabulary we use say much more about us than the words alone. In the field of family break-down, I am very aware of the language and words used by parents. Often, without realising what they are actually projecting, people use words, phrases, language which often tells me much more than they think are saying. The words used can either calm a situation or more often than not, increase and inflame hostility and conflict. I have read many, many statements from parents in support of their proposals for parenting time. All too often, they focus on what the parent wants – starting sentences with “I want”, using self-focused language that moves the emphasis on to what the parent desires, rather than keeping the child’s needs as the heart of the statement. “I allow him to see the children”; “I have told him when he can see the children”; “I have made it very clear that the children will live with me, and they can visit him”. This type of language is frequent, it is controlling language, limiting the actions and parenting input of the recipient of such language. “I am entitled to a large share of the assets/their pension”, “She isn’t entitled to anything – it was me who worked for it all, all she did was stay home and have babies”. This language suggests that the speaker has a belief that s/he is inherently deserving of of privileges or special treatment. Instructive Language – You will, you must, you should…. This is directive and holds an expectation of compliance from the other parent. Both genders are guilty of using such language – it is not solely confined to one gender or the other. In recent history the acronyms/terms PWC, Absent Parent and NRP were and in some instances still are used as acceptable terms/acronyms to describe the status of each parent in their child’s life, the role they play and therefore the importance of each parent in that child’s life. PWC, which is usually take to mean Parent with Care, stems from the Child Support Act 1991 – and the actual wording in the Act (s3) is person with care, and not Parent with Care. Absent parent within the confines of the Child Support Act 1991 refers to the person with the responsibility to pay child support, this was then replaced with the term NRP in January 2001. And NRP simply stands for Non-Resident Parent, and is more often than not, referring to fathers. Absent parent was an incredibly insulting and degrading term to be used in a legislative act and, unfortunately, the term stuck, and was banded about by the gutter press and organisations promoting single-motherhood as yet another stick with which to beat fathers and proclaim them to be “deadbeat dads”. PWC suggests that this person has a greater presence, a greater influence, a greater investment into their child, and therefore the one who wields the power. NRP suggests that this person has much less presence (physical and emotional), much less influence, and much less investment into their child, and that their main role in their child’s life is simply to provide additional money. This is such an extraordinary imbalance on the scales of parenting, these terms are actually financial services terms, in respect of who pays and who receives, they were never designed to be used as role descriptions for parents in terms of the care they individually gave to their children, or indeed the amount of time they individually spend with their child. The terms used in the legislation were never intended to be seized upon by the outside world and used in a judgemental pseudo-official way to define a parent’s status in their child’s life. Over the last 18 months or so, people posting on the Wikivorce forum have moved away from talking about PWC (or indeed primary carers) and NRPs (and certainly Absent Fathers), and collectively, as a community, and with no prior instruction or direction by the forum management. This change in language was lead, I suspect by a handful of prominent and regular posters (both male and female), who used far more inclusive and non-judgemental terms and language, the main lead was using language and terminology that is child-focused, family-focused. This change in language and problem-solving has been assisted in part by the changes in child maintenance and the setting up of the Child Maintenance Service, and the fact that where there is equal care of a child, the calculation for child support will be £0 – regardless of who earns what. Each parent will then have the same outgoings for their children. The push of Family Based Arrangements for child support, and the introduction of a fairly hefty collection and delivery fee were designed not only to make the system pay for itself (or at least in part), but also to encourage parents to communicate and sort out their own arrangements regarding child support. The Children and Families Act 2014 introduced the Child Arrangements Orders and did away with Residence and Contact Orders – CAO applications now require all aspects of arrangements for a child to be considered and set out when making an application – it’s not enough to simply state you wish to have the child live with you, you must also include a parenting plan setting out what the arrangements will, including how often they will spend time with their other parent. The change to Child Arrangements Orders sought to include both parents in such arrangements rather than the old Residence Orders and Contact Orders, which excluded one parent. This change is country-wide rather than being limited to one small geographical area and therefore reaching out to a great many more parents and people. It filters down into the Position Statements parents write, the communications they send to the other parent, the way they approach problem-solving, the way they think about their situation and are more able to take on board the perceptions of the other parent. There is also a good understanding of the Kübler-Ross grieving cycle – often referred to as the “Rollercoaster” on the Wikivorce forum, understanding what each stage is, and where individuals are most likely to be in this rollercoaster also helps those replying to posts give the appropriate advice at the right time; as well as put across the perspective of the other spouse who may well not be in the same emotional place as the one asking questions on the forum. Wikivorce is owned by a man, and the community area is managed by a woman who is assisted by a team of volunteers (both men and women) – neither are interested in the slightest in gender-politics, only in helping people and ensuring that those who seek help and assistance receive the very best that the organisation can offer. Those prominent members who work on the free advice line and/or respond to posts and requests on a very frequent and regular basis are a mix of men and women, some professional, others who have their own personal experiences of divorce/separation/family break-down – the wealth of personal experience is vast. Again, these people are not interested in gender-politics, but with the very real job of assisting those who seek help and support. The people on Wikivorce, and Wikivorce itself as an organisation, are leading by example, turning against the current tide, and creating a new approach for others to follow – an approach where men and women work together, not against each other, where men and women support one another during their darkest days using empathy and understanding, where men and women are collaborating together to provide a space for all those that need support and help and advice. The way forward won’t be easy – I’m quite sure there are those self-styled experts who will dismiss this article, and the collective efforts of Wikivorce and its members as nonsense, but it’s very hard to dismiss the changes that are now actually happening and evident to see. This is not just evolution, this is revolution. I have spent the last few months or so looking at the wide variety of self-help and support organisations and groups that exist to help parents when experiencing family breakdown. For the last 7 years my work has been, and continues to be advising people on all aspects of family law, but mostly parents who are faced with issues relating to arrangements for their children, – that’s both mothers and fathers. My approach is simple; treat each person as an individual regardless of gender, regardless of whether they are the resident parent or not, and to tailor my advice according the emotional needs of the client – it’s both counselling and factual legal advice. I promote non-adversarial methods and encourage parents to use mediation services, use parenting agreements, and above all, keep everything focused on their children. The main issue I found while looking at the various groups who support parents is that the vast majority of them are only offering support and help to one gender or the other – only Wikivorce really has an all-inclusive membership, and equal numbers of men and women members (and contributors) . While some groups do claim to open their doors to both mothers and fathers, it’s very clear that the main focus is on either mums or dads but not both. The Fathers’ Rights lobby is NOT child-centric, it focuses on something that has never actually existed, and doesn’t exist for mothers either on the whole. For years, the disenfranchised fathers have been fed straw-man arguments; that mothers have rights and fathers don’t, that courts hate fathers, that mothers are wicked, evil people who will harm their children, and that ALL legal professionals are dirty money-grabbing self-interested crooks. The initial anger that fathers feel when they have been through the family justice system is harnessed and exploited – and the fathers wear that anger like a medal of honour, and are encouraged to do so. However, that anger is not healthy after a while; and when fathers are only (on the whole) conversing, discussing and socialising with other disenfranchised fathers, that anger breeds like bacteria. They live in a goldfish bowl world, where everything and everyone around them has been damaged by their own experiences in the Family Justice system, and they are prevented from moving beyond that goldfish bowl world. It is a very sorry and desperate state of affairs. I get my fair share of father’s rights flag-waving dads ranting at me down the phone. I explain that banging on about fathers’ rights is not child-focused and will only harm their own case. I have been called all sorts over the years, and have had a number of threats made; but mostly, I have helped Dads with their cases, and helped them to move forwards to a child-focused solution. The self-help/support groups and organisations for mothers usually have a feminist structure to them, and help with the promotion of Domestic Violence programmes, that men are the enemy and are violent, nasty, abusive, manipulative and exploitative. One such website gives the very distinct impression that all women are victims of DV, that they will be free to live when they aren’t in a relationship and that fathers are not capable of looking after children. That isn’t empowering women, that is trapping them as victims. Other than the issue of support, and the perpetuating of negative emotions and unhealthy, unbalanced perspectives, the other obstacle to progress is that certain issues are perceived as women-only or men-only issues, and that perception is encouraged by the single-gender organisations – i.e., Women’s Aid have become the “go-to” organisation for information and stats on DV – despite their stance that only women are victims and only men are perpetrators. Fathers4Justice are still the go-to group for quotes and information about fathers going through family breakup, despite the fact that their own stats are hopelessly out of date (since their researcher left in 2012, they have struggled to maintain any kind of credible statistics). While organisations like Women’s Aid have captured DV as being a women-only issue, the fathers’ rights’ groups (and there are many, fragmented groups) have captured shared parenting as a fathers-rights issue. That is part of the reason why there will not be a legal presumption of shared parenting for many years to come; because the politicians do not want the fathers rights groups to claim victory. Groups like F4J have done far more damage to the cause for shared parenting over the last 3 years than they would care to admit. Shared parenting is now a dead duck sinking slowly to the bottom of the murky pond. Change will never come about by Dads climbing on buildings or harassing professionals, change will only come about via a shift in societal attitudes – with more and more parents using parenting plans and avoiding courts, with more parents making their own arrangements for child maintenance and not using the CMS- in short, empowering parents to be parents, to give them the tools and support they need to be parents and jointly make the decisions about their children. There are very few issues in family breakdown that are gender-specific; the only two I can think of are paternity fraud and parental responsibility for unmarried fathers. Everything else – be it false allegations, domestic abuse, parental alienation, homelessness, debt, being unable to access funds, depression and other mental health issues, the threat of the former spouse/partner absconding with the children, to name just a few – are all experienced by both men and women. Those issues don’t respect gender, social status or age, and no-one should pretend that these issues only affect one gender. When mothers and fathers are divided into these two separate gender camps, they can end up with a rather warped view of their own situation; there is little to no balance offered, no differing perspective, no real understanding of why their former spouse or partner may be acting in a particular way. When an organisation has an all-inclusive membership, which is gender-neutral, and includes those affected by family break-up indirectly as well as directly, it enables contributors and members to give a wide range of views, thoughts, shared experiences and perspectives. Often it is it hearing differing or opposing perspectives and thoughts that can make a real difference to how an individual understands and deals with their own situation. Being part of a balanced and gender-neutral environment aids the understanding, and offers a holistic approach to emotional healing and recovery. A new organisation called Leading Women 4 Shared Parenting was launched recently. The organisation aims to bring together women from all walks of life who support and promote shared parenting (I prefer the term shared care), with a view to changing policy and perception. 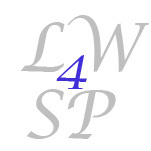 This excellent blog by one of the Leading Women, Rachel Alexander, explains more about the organisation and contains some very recent research to back up the LW4SP’s position. The calibre of the Leading Women is incredible, there are politicians, researchers, lawyers, writers, campaigners, child advocates, journalists, academics; the roll-call of names is impressive and inspirational – I am very proud and honoured to be among them. Leading Women for Shared Parenting was founded to dispel the widespread myth that it is only – or even mainly – disgruntled fathers with limited access to their children who promote equal shared parenting as the default model for separating parents. That is simply not the truth. Polls in the United States, Canada and other western countries consistently demonstrate overwhelming support in the general population for equally shared parenting. Both fair-minded men and women across all social and cultural lines understand that mothers and fathers are equally important in the lives of their children. For some years a number of prominent women in media and politics have been championing this issue in the public forum of ideas and in policy-making circles. Eventually they sought a common platform from which they could bring their support for equal shared parenting to effective attention and positive legislative action. Thus LW4SP came into being, with more than 150 influential women lending their names in support of the equal shared parenting principle. It ensures continuation of family life for the child, with the advantage of nurture from both parents rather than just one. It reassures the child that he has two parents, and although they live in separate places, he definitely has a home with both of them. It dispels the notion that only one parent is “caring” and that the other is “errant” or “absent”. It ensures that one parent is not unfairly burdened with the responsibility of discipline whilst the other is relegated to (or marginalised as) the fun or contact parent. It provides the opportunity for children and parents to develop meaningful and lasting relationships – in place of the artificiality and frustrations of contact . It affirms the parents in their belief that they both have an ongoing role in their child’s life. It places both parents on an equal footing with schools, doctors and the world at large – who might otherwise only want to deal with the residential parent. It confirms that no matter what, each parent wants to, and is able to, provide a home for their child. It reassures the child that in the event of one parent dying he still has a home to go to. Without a Shared Parenting order, if one parent dies, the child would not automatically go to live with the other parent, but would be left with whoever they were living with at the time or handed over to a guardian – a poor substitute for a natural parent. A growing number of children are being raised without the benefit of meaningful engagement with both parents. As contemporary research conclusively demonstrates, a child who effectively loses one of his or her parents through a custody decision, usually the father, is a child at risk for a number of negative personal and social outcomes. Research also proves that, although children want a relationship with both their parents regardless of marital status, healthy bonding with a non-residential parent is impossible without a substantial amount of time spent in that parent’s physical presence. Consequently, LW4SP is sending our elected representatives, the judiciary and policy-makers the clear message that substantive changes in family law must be implemented: changes that will ensure children the opportunity to remain fully engaged with both their parents into adulthood. The women endorsing this statement know that not all children can have full access to both parents, and we know that not all parents are fit to raise their children. But we also know that far too many good, willing and fit parents are pushed to the margins of their children’s lives by unfriendly family courts, government policies and laws that undermine family integrity and autonomy. It should be alarming to women everywhere to know, as they look at their son’s, there is a significant likelihood our government will turn him into a visitor to his children in the event he no longer resides with his kids’ mother. Parental separation should not spell the end of a relationship between a child and one of its parents. Forced separation from one’s own flesh and blood in the absence of abuse is morally wrong and socially irresponsible. That is why LW4SP supports equally shared parenting as the default arrangement for separating parents of minor children. You can sign up and endorse Shared Parenting by visiting www.lw4sp.org and fill in the online form. Be a Leading Woman, encourage your friends, colleagues, family to sign up too. A five-year-old boy at the centre of a transatlantic custody dispute should be returned from Scotland to the United States of America to live with his mother, a judge has ruled. Lord Jones in the Outer House of the Court of Session held that the mother did not give her permission for the child to stay in Scotland with the father and that the retention of the child by the father without the mother’s consent was “wrongful”. The couple, who started living together in San Diego, California at the beginning of 2006 before getting married in Las Vegas in March 2010, are the parents of the boy, who was born in the US in September 2007. The father, a UK citizen, was brought up in a small town in Scotland and moved to the US in 1998, but returned to Scotland with the child in February 2011 after the couple’s relationship became “rocky”. The mother, a US citizen, had rights of custody under the law of California, and while the father and son’s trip to Scotland was undertaken with the agreement of both parents, she claimed that the permission that she gave the father was conditional – only if the parties worked out their differences and decided to live together in Scotland, would they remain in Scotland together. In May 2011, when it when it appeared that there would be no reconciliation and the father would not return the child voluntarily, she raised divorce proceedings in California, seeking custody of the child, and raised further proceedings under the provisions of theThe Hague Convention on International Child Abduction, which was incorporated into UK law by section 1(2) and Schedule 1 of the Child Abduction and Custody Act 1985. Counsel for the father submitted that the child was “habitually resident” in Scotland, having been brought here to settle pursuant to an agreement between his parents which contained no reservation, and therefore the Hague Convention did not apply. In any event, he argued that the mother “acquiesced” in the child’s retention in Scotland within the meaning of Article 13(a) of the Convention, and that a summary return of the child would place him in an intolerable situation within the meaning of Article 13(b) of the Convention. The father relied on a number of messages which passed between the parties in March 2011, and argued that they demonstrated that the mother was consenting to a permanent, settled move to Scotland. However, the mother’s position was that when the father travelled to Scotland with the their child, there was no agreement between the parties that the family would settle in Scotland; there was no subsequent acquiescence by her in the retention of their son in Scotland by the father; and there is no grave risk that a return to the United States would expose the boy to physical or psychological harm or otherwise place the child in an intolerable situation. Consequently, the child remained “habitually resident” in the US and should be returned there. The judge held that the mother wanted to be reunited with the father and the child, and that she wanted the marriage to work, but that she neither consented to the child’s changing his habitual residence nor had she formed the intention that the child would settle in Scotland. The judge also held that the article 13(a) exception of acquiescence had not been established by the father and said there was “no evidence” to support his article 3(b) case that there would be “a grave risk that the child’s return would expose him to physical or psychological harm or otherwise place him in an intolerable situation”. Appeal by mother against order lifting a restriction upon the father taking the child to his home. Appeal dismissed. Significant reforms to services for vulnerable children and additional support to help parents balance work and family life have been announced. The Children and Families Bill, published today, includes reforms to adoption, family justice, provisions for children in care, the role of the Children’ Commissioner and an overhaul of Special Educational Needs and plans to introduce childminders agencies. – introducing new ‘child arrangement orders’ which will focus parents on the child’s needs rather than their own ‘rights’ and making family mediation a requirement in many cases. The Children and Families Bill is an important step in the reform of the the family justice system and implements commitments made by the Government in response to the Family Justice Review. Parenting after separation can be a daunting prospect, whether you are facing parenting entirely on your own, or alternating with the other parent. You may be worried about loneliness, financial worries, social isolation, making decisions on your own about your children’s welfare, what happens if a child is seriously ill, trying to juggle work, children and running the house on your own, what happens if you’re ill or late home from work, for example. The tips below should help ease the path of parenting alone, and provide you with useful “tools” in coping, enjoying parenting and above all, knowing that you are doing the very best you can for your children. · Plan for Christmas / birthdays/holidays – spread the cost by either having a small savings plan (most banks have savings accounts you can open with just £1), or buy a little each month. Set a limit on the amount you will spend per child on presents and on food, decorations, entertainment etc. Being organised and planning ahead for holiday periods and weekends helps, the longer periods can be difficult when doing everything by yourself. Christmas and other religious festivals need to be planned in advance. If you are worried about being on your own over a festive period try and organise to be with friends and family. · Get yourself financially sorted, work out a budget and know your weaknesses; shop around for better deals on all the utilities (use one of the price comparison websites) and cut back on things you don’t need, instead use the money for a “rainy day” fund for you and the children to have a day out or a short break in the future. Use charity shops, Ebay and car boot sales to buy clothes, toys and games; watch out for sales and shop months or a year ahead for things like school uniform. · Avoid taking your children grocery shopping with you, make a list and stick to what is on it. Your finances will be strained and you don’t need the pressure they will bring to bear on you to buy them stuff. Instead, listen and watch for a special toy or other item they may yearn for and buy it as a surprise gift the next time they come to stay. Plan meals for the week ahead, and use food wisely (a whole chicken can be roasted one night, the left-over meat turned into a risotto the following night, and the carcass made into a stock for soup the day after that). Consider using the online services most supermarkets provide, you can see exactly what you are spending as you shop, making it easier to stick to a budget, the delivery costs can be as low as £3, which is often less than it would cost in petrol – and you can shop in your pyjamas with a cup of tea! · A good support network has a variety of people you can turn to when you need to. Different people offer different kinds of support. Some friends are good for doing things with and for distractions; others are good for listening and understanding. Evidence supports the view that informal social support can help people negotiate stressful experiences such as parenting alone. Knowing that you have a good support network around, whether that’s friends or family (or both) means that you know you have people you can always rely on and trust, whatever the problem. · Lean on your faith – Parents with a strong faith say that this helps keep them “strong”. Faith communities offer both emotional and practical support for all the family, and often hold social occasions and shared celebrations to enjoy with others. · Get organised – if your children are older, make sure they have everything they need for school organised the night before, if your children are younger, organise school stuff when they are asleep. Set out school uniform the night before, prepare lunchboxes in advance and keep in the fridge overnight. This prevents the pre-school rush and creates a more relaxed environment before school, giving you time to chat with your children and enjoy some time together before school. Keep a homework diary so you can keep track of when homework/projects are due in. · Prioritise the household chores – sometimes things will have to wait! · Do the best you can, with what you have at the time. · Join your local library, not only will you be supporting it, but it cuts out the expense of buying new books for both you and the children. Most libraries often have events for children during the holidays and during the week for parents and toddlers. · Plan ahead for the school holidays, collect money-off vouchers for local attractions, and remember that you don’t need to spend money to have a great day out – children love a picnic and a day on the beach. Plan for rainy days, have a stock of art materials, baking ingredients, dressing up clothes (charity shops/car boot sales are great places to source dressing up clothes), cardboard boxes to be turned into spaceships/castles/dens etc. · Make sometime for yourself; it can be lonely without another adult so try to find time for adult conversation even if it’s on the phone or in the Wikivorce chat room once the children are in bed. · Don’t get obsessed about what your children’s other parent is doing, or planning to do. Concentrate on what you are doing. It can be unhealthy to continually to worry about the things they are doing. You cannot control them, or be responsible for their behaviour/relationship with the children; you are only responsible for your own behaviour and relationship, so focus on this instead. · Do the right thing for your child – Another difficult area when relationships break down concerns the “in-laws.” The only thing to suggest is that you do the right thing for your child. Even if it’s not what you would want to happen. Seeing and being in contact with the in-laws may be an unpleasant or painful experience for you, but they are still a very relevant part of your child’s family, their culture, and their heritage. It is healthy for your child to have a sense of family that includes all relatives. It can be a lonely and confusing place for children during this difficult time. Just like bereavement, healing is not linear. So it can take however long it takes! It is easy to underestimate the complex tensions that accompany divorce-even a fairly amicable one. Your child may be angry and upset because one of his parents has left, but as you’re the only parent around for him to vent his feelings on he is likely to take it out on you. Your child may become sullen and awkward or loud and angry. It’s very hard for you on top of everything else that you have to cope with. However, try not to take it personally. Try to understand your child’s feelings of dislocation and try and take a positive view. Here are some Positive Parent Top Tips that have been drawn from the experience of mums and dads who have had broken relationships. · Leave photos of the missing parent around, use their name-it helps your child heal. It’s important that your ex is still part of your child’s life. Be ready to talk naturally about the good things that happened. It will help your child move easily through change. · Encourage your child to keep in contact with the non-resident parent through e-mails or phone calls. Show respect by sending them a birthday card. · Try to encourage your child to see her mum or dad. 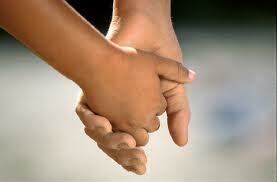 Try to encourage the relationship, or at least keep the doors open for better things to come. · Don’t use your child as a messenger or a spy. · Discuss with your ex about Christmas, weekends, and who’s going to have who and when. And stick to the arrangement if at all possible. Children need stability in their lives. · Encourage your child to continue their relationship with their other parent. There will always be long-term issues to work out and face and the quicker that they do that the easier it will become. · Remember it’s important to keep your promises to your child. He may feel let down by one or both of his parents so only make promises to him that you can keep. · Keep on reassuring your child that the breakup is nothing to do with her-especially if your child continues to seem anxious about it. It’s important that your child doesn’t blame herself. · No one is a perfect parent. We all have days when we’re frustrated, angry, depressed, or simply “done.” Forget all the stuff that needs to get done, and just sit for a few minutes. Or, if you can, go outside and take a walk. This will help to clear your head and enable you to return to your responsibilities refreshed. Make plans to swap play dates with a neighbour or go out with some friends for an evening. Alternatively, consider hiring a babysitter so you can go out by yourself for a bit. If you feel like you just need a fresh start with your kids, doing something completely different and unexpected can break the tension and provide a clean slate to start from. · It’s much easier for a child to handle something specific, rather than to just see you in tears or in tantrums! Also, some children always assume it is their fault, and it’s good for your children to know that they are not the problem. · Make sure the children understand house rules and why they are there, and encourage them to help with some of the household chores in return for a small treat or pocket money. · Be patient – It may take the children a while to adjust to the fact that you only have one pair of hands and can’t do everything at once. Try and be patient and explain this to them. · Be prepared for the other parent to move on with their life (if they haven’t already done so relationship wise) this can also mean geographically, prepare the kids for this sort of ‘change’ issue as well. · Let your children express their fears, concerns and hurts. Reassure them as much as you can. Prepare for your time with them. Plan activities; preferably ones which require lots of interaction and which their other parent won’t do. · Don’t disparage the other parent in front of your children, even if you are aware he or she is alienating them against you. The children love you equally and your criticisms of one another will only confuse and stress them. In the long run, it is counterproductive for either parent to vilify the other. Have you considered that your child might still miss their estranged mum or dad – regardless of how you feel? Eventually – and it may be a long way down the road – the children will see through the criticisms and lies and will turn against an alienating parent. And never argue about aspects of the court case or any other issue in front of them: this will just make them more anxious and angry about their new fractured situation. Healthy relationships, including those with the ex, need to be worked out. Success doesn’t happen overnight, and often calls for much personal sacrifice and self-discipline. But it’s worth all the effort in order to provide a stable environment for your children so they can grow up to be happy, confident and well-balanced adults. On 7 November 2012 the Court of Appeal considered whether to overturn a decision to substitute a sole residence order for that of a shared residence order, which had effectively severed contact between the Appellant parent and her children. The relationship between W, the appellant, and G, the first respondent, began in 1995 and resulted in their co-habitation from that year until their separation in May 2003. During their co-habitation G gave birth to two daughters following her insemination with the sperm from an anonymous donor. The relationship broke down and W commenced proceedings on the 10th September 2003 seeking shared residence and contact. Sole residence was granted to G but with specific issue orders designed to incorporate W centrally in the lives of the children with generous contact. However, a CAFCASS officer recorded that G did not wish W to be involved in the lives of the children and did not recognise her as a parental figure who should play a part in their lives. W successfully appealed with the result that a shared residence order replaced the sole residence order. However, G’s reaction was to move the children to Cornwall without W’s consent. The subsequent result was years of litigation, with W attempting to enforce or amend contact arrangements when faced with repeated variance or non-compliance on the part of G. The dispute was so entrenched that it was referred to the Court of Appeal three times and even to the House of Lords on one occasion. W spent approximately £200,000 in total on the litigation and was eventually forced to act in person. “As an agency CAFCASS and myself as part of the agency, have tried everything within our powers to facilitate contact. Further orders to reinstate contact and to implement a therapeutic programme for the children were ultimately not adhered to. The matter consequently found its way back to the Court of Appeal. At first instance the trial judge relied heavily on a report of the Children’s Guardian who had recommended there be no specific order with regard to contact and that the shared residence order be replaced with a sole residence order in favour of G. The judge accepted both of these recommendations. On appeal the Court lamented the fact that the Guardian’s report had not been available to W as a litigant in person until three days prior to the trial. It was also noted that the trial judge ought to have placed weight on the slender nature of the Guardian’s involvement which had been apparent given his prior application to be discharged from the case. Moreover, the Court found that there had been procedural unfairness in so far as there had been no application or submission for variation of the shared residence order by G. The Court stated that had W been legally represented she would undoubtedly have challenged the variation on both substantive and procedural grounds. The trial judge had also rejected W’s application to adjourn proceedings and re-introduce a third party expert who had been pivotal in recommending increased contact and a therapeutic programme for the children. The Court of Appeal noted that the original contact order implementing these recommendations had not been adhered to by G. It accepted that the longer non adherence continued the more difficult it became to repair the breakdown in contact. It was suggested that W ought to have applied to the Court to enforce the original order but that, lacking legal advice as she was, she had not done so. In this context the Court was critical of the Children’s Guardian for not having taken a more proactive role where both parties did not have the benefit of legal representation. It stated that the Guardian had a clear duty to take the initiative and seek directions from the Court when the contact order was not adhered to. In particular it was noted that the importance of restoring rather than abandoning relationships had been obvious. The Guardians report primarily reflected on the children’s adamant assertion that they did not want to resume contact with W. Following this, the trial judge, had indeed relied upon the strongly stated views of the children, their well-being and development over the previous 18 months and the desirability of terminating litigation which had been more or less constant since 2003. However, the Court of Appeal stated that whilst the children’s wishes were and remained a very important factor there was a danger in taking them too literally. It noted that their criticisms of W have no objective foundations in that she had always been a warm and loving parent who had never failed them. It highlighted that even the guardian, during a period of observing without being observed, had noted the warmth of the interaction between the children and W which froze as soon as he made himself known. The Court also concluded that insufficient attention had been paid to the crucial importance of the relationship between the children and W and the damage that would be caused to them by its loss. In the Court’s judgment it was wrong in this case to deprive the children, W and W’s family of family life unless there was manifestly no alternative. Consequently the trial judge’s decision was overturned, the third party expert re-engaged and the matter remitted for re-trial.